If you’re a regular reader of the Archives and Collections blog, you might remember our previous post about our involvement with an exhibition of GSA fire damaged materials at Historic Environment Scotland’s The Engine Shed. The exhibition comes to a close in September so there’s still time to go along and see some items which were recovered from the remains of the Mackintosh Building after the fire in 2014. 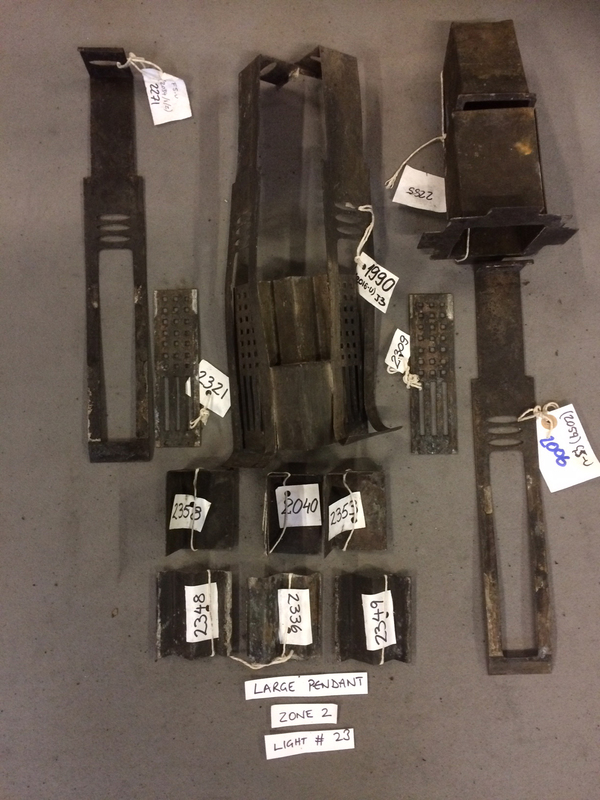 Rescued fragments of a light fitting from the Mackintosh Library. In conjunction with this, The Engine Shed will be hosting a one day seminar on Tuesday the 22nd of August. 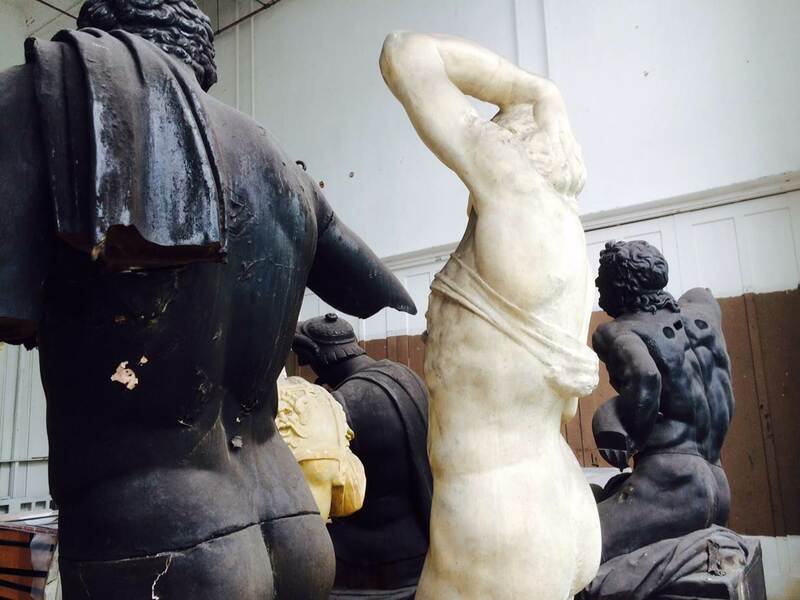 “Glasgow School of Art – Raising from the Ashes” will discuss the programme of salvage and restoration following the fire. We are very pleased to announce that our very own Polly Christie will be one of the speakers at this event. Polly’s talk will focus on the latest news from the Archives and Collections post fire recovery project. She will discuss how our collection of plaster casts have been conserved and protected in situ within the Mackintosh Building, the archaeological excavation and research that went into restoring the library lights and the on-going research into the building’s clocks, recreating what was at the time a ground breaking synchronised mechanical clock mechanism. Plaster casts from our collection in situ in the Mackintosh Building. Archive Reference: PC. Some might find it surprising exactly how much our archives have helped to inform the restoration process. This is something that Polly has witnessed throughout her time as our Recovery Project Lead. “You would never have expected that the archives would have to be used in the way that they subsequently were after the fire,” she has commented. Click here to get tickets for the event!